The body of a Melbourne teenager (Daniel Eimutis, age 19) has been found in a river in Laos, three days after he disappeared while tubing in the popular tourist destination. Daniel Eimutis, age 19 found dead in Vang Vieng. Earlier this month, Lee Hudswell, 26, of Cronulla, died after he jumped from a tower and landed badly in the river. Holidaymakers tried to resuscitate him but he died a short time later in hospital. This entry was posted in Laos on 2012/01/25 by Trailsurfer. Singapore Changi Airport welcomes the arrival of Lao Airlines from Vientiane, the 11th new city link for Changi this year. With the commencement of thrice-weekly services between Singapore and Vientiane. This entry was posted in Laos on 2011/11/25 by Trailsurfer. If you have a week in Laos here is an article from BBC that will guide you to the classic sights and cities. Personally I think that seven days is on the short side but if that is all you have then this article is a must read. The article will guide you to Vientiane, Vang Vieng and Luang Prabang. Sadly most tourists visiting Laos only end up in the dusty town of Vang Vieng for some serious drinking, magic mushrooms and tubing (above picture). Laos has so much more to offer and I hope that more will find its hidden treasures. This entry was posted in Laos on 2011/10/14 by Trailsurfer. This entry was posted in Laos, Video on 2010/09/06 by Trailsurfer. One month has passed and all is well if you do not take into account that our hearts where broken when Jess left us yesterday to go back to school in Sweden, and that we are missing all that we love. During this month in Asia we have learned that time is only relevant to the organiser, that dishes ordered at a restaurant is never or ever the same as the picture on the menu. We have found out that it is possible to live in this world without a mobile phone, and that internet is the common communication plattform even on the smallest island tucked away in deepest Laos. We have seen rain pouring down even though the sun shines, children begging for money but living in a house with satellite-TV. We have tasted the most delicious meals and been grossed out by others such as snake head soup. One of the constant thoughts we have centers around the big question of what we will do with our lifes when we get a cold shower and wake up from this one. As time passes we hope that the light in the tunnel emerges and guides us into a new world where at least there will be no bloody Powerpoint among the tasks. Tomorrow is another day of travelling as we are heading for Malaysia and Borneo. We will fly to Hat Yai in the south of Thailand and from there travel by train to the Malaysian border. After the border we will travel by bus to the ferry and finish on the Perenthian islands. Perenthian islands is our starting point from where we will travel around Malaysia and then to Borneo. The islands are very beautiful, scerene and laid-back. As there are no ATMs on the islands we have to go to the ATM before we take the ferry and hope that we take enough cash with us. After we settled in and found an internet cafe we will post some pictures. To all our hungarian friends – we miss you and hope that your holidays in Balaton exceeded expectations. kisses. 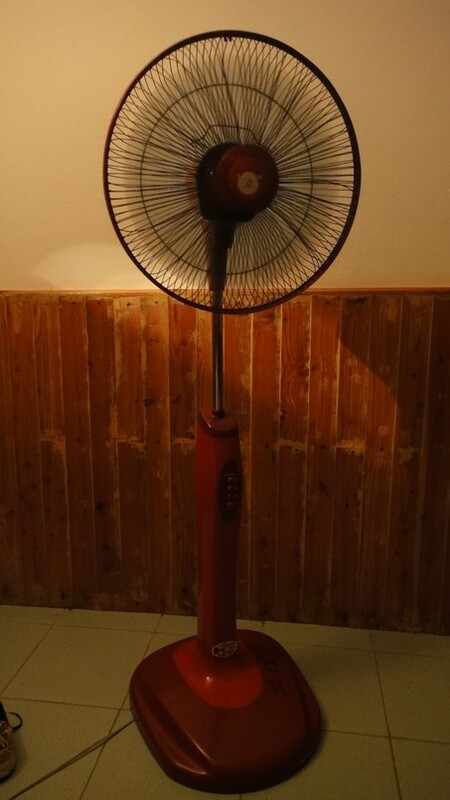 The fan – without you we would not be alive. In some of the rooms we have stayed the temperature must have been at least 40 degrees. 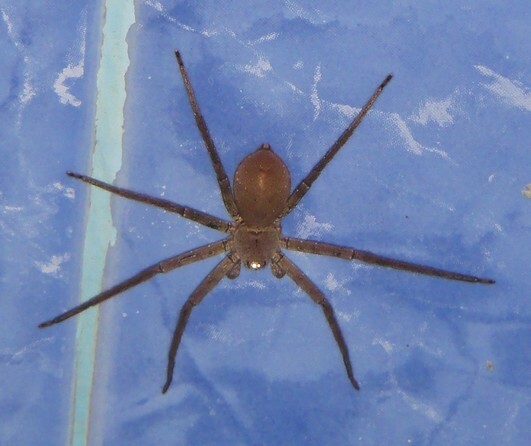 Albert the spider – he ate alot of mosquitos in our bathroom when we stayed at Naga resort in Koh Samed. This entry was posted in Laos, Thailand on 2010/08/02 by Trailsurfer.